Llanelli-born Nigel Davies won 29 Wales caps between and captained his country against France in 1996. 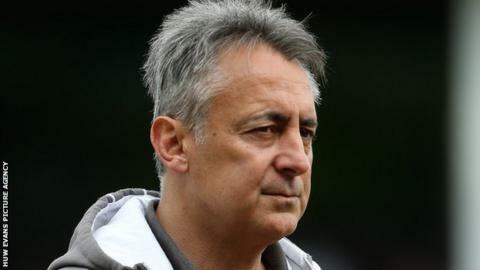 Merthyr RFC have appointed ex-Wales and Scarlets coach Nigel Davies as the club's new chief executive. Davies, 52, a former director of rugby at Gloucester, recently left his role as head coach of Ebbw Vale. Merthyr, under head coach Lee Jarvis, beat Aberavon to secure their first Premiership title. "We look forward to working alongside Nigel and wish him all the best in his new role," Merthyr said in a statement." "Nigel will primarily be involved in the commercial side of the business as chief executive and brings a wealth of experience with him."